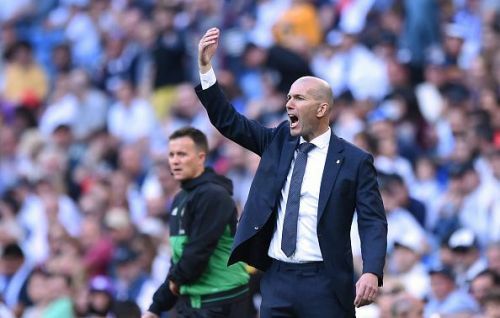 Since the arrival of Zinedine Zidane at the Bernabeu, a number of players have been linked to the Spanish giants. 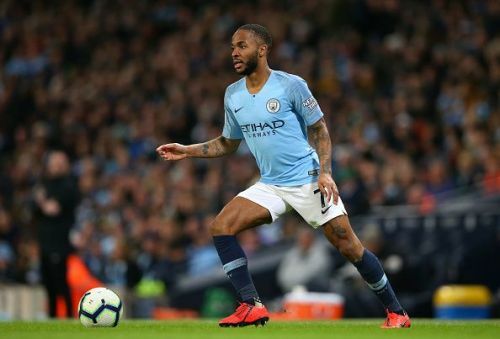 After completing the signing of Eder Militao, the Frenchman has turned his attention towards Manchester City star Raheem Sterling. Real Madrid want to lure the Citizens' star to Madrid in the summer as a part of their overhaul and replace the Welshman, Gareth Bale. Raheem Sterling has been one of the best players in the Premier League this season. The 24-year-old English international has scored 15 goals and set up 9 goals in 27 appearances in the Premier League. He has also contributed to 5 goals in the UEFA Champions League, scoring thrice and assisting twice. Real Madrid have been following the City star for a while now and know it will be a mammoth task to lure their target since the Manchester club would not want to sell one of their most instrumental players. After spending €50 million on the Brazilian defender Eder Militao, the Frenchman is not holding back. Zidane has been a huge admirer of Raheem Sterling and the club have sent scouts to monitor the youngster on various occasions. According to Mirror, Real Madrid are targeting Raheem Sterling as part of their plan to rebuild the squad. Real Madrid have been linked with big names with the likes of Eden Hazard, Neymar Jr, Mbappe but Sterling's performances may see Los Blancos pursue him. Sterling is an economic alternative for Mbappe who has also been linked to the Whites. Real Madrid will not find it easy to sign the English international as City would be reluctant to sell as the player just signed a contract extension last November worth £300,000-a-week which keeps him in Manchester till 2023. However, to land Sterling would surely cost at least £100 million according to sources, if not more but since money is not an issue for Zidane as he has a purse of more than 300 million Euros and therefore may go all out for Sterling as he is a proven star and is just 24 years of age. Real Madrid's pursuit of Raheem Sterling means Gareth Bale's time at the Spanish capital has run its course and this season is apparently his last at the Bernabeu. The 24-year-old looks like an ideal option if Madrid can't strike a deal with Paris Saint Germain for Kylian Mbappe as he can rejuvenate the right flank for Real once again.